This technology is creating the astonishing things which can be used by everyone in their daily lives. There are many innovations taking place in the world, this Scala Rider G9 is the latest gadget and this device is used for communicating. 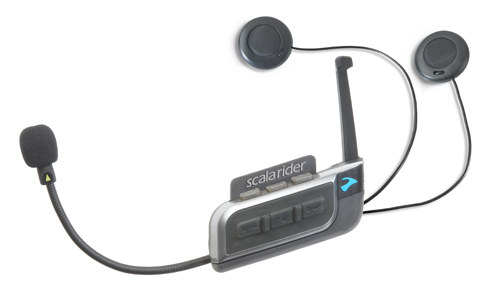 Scala Rider G9 helps the riders to connect co-riders in a flexible and simple way with the help of Bluetooth. This device comes with more features and it is a User-interface device. It provides you a great skill to ride with the device. 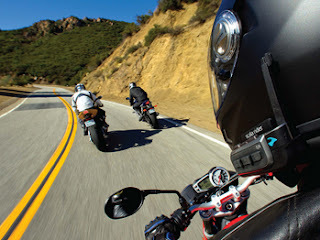 Cardo Systems invented this device to give a great experience for the customers and to enjoy the riding. This is a different device 9 people can communicate using this device and you can stay connected with your friends or co-riders. It is well suited to use in bad weather conditions. Scala rider is designed with Global Positioning system. It can be called as phone. You can also give the commands to operate this device.it works on voice GPS. The battery life of this device is good we can use this device up to 13 hours and you need to charge it for 3 hours. By using the conference option in this device we can connect four co-riders in the range of 1.7 kms. This device has Mic and head phones which comfortable to use when you’re riding. This device is built up with FM radio you can use 6 radio stations. You can listen to your own music it allows you to use music player. Using this phone we can attend the calls it can be done in iPhone. You can still receive a call when listening to music. Music stops when you answer a call. It navigates the riders helps in guiding the route and you can do it GPS option as well. These are the features of the scala Rider G9.It uses the advance version of Bluetooth and you can control the whole device at a time. Listen music, you can access social networking sites as welland answer calls when you’re riding. Cardo Bluetooth head phones are used for communicating; you can still find many brands in the market but this device is especially designed for bike riders. It comes with many unique features it is built with new software’s tools and advanced version. G9 has creative volume, the sound quality in this device is too good, and customers can customise the device according their use and save the settings to use the device in easier way. Riders can communicate in duplex-mode. By seeing all the features in this device we can easily prefer to buy this device and I recommend riders to have their Insurance because riding bikes is bit risk so this might help you to stay on safe side. Hi I'm Michelle; a tech writer from Manchester, UK, My passion is writing articles on numerous topics, for example Technology, finance, health, Payday Loans and some other topics.